Pass & Seymour on-Q® RJ-45, High performance modular plug has high-impact clear polycarbonate plastic housing to withstand everyday wear and tear. It accommodates 24 - 26-AWG category 5e cable. 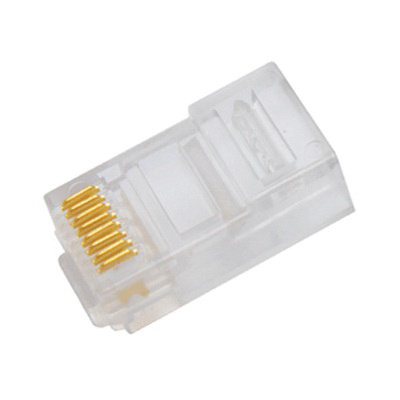 The gold-plated contacts ensure superior connectivity. It has a dimension of 0.87-Inch x 0.46-Inch x 0.33-Inch. Modular plug is RoHS compliant.